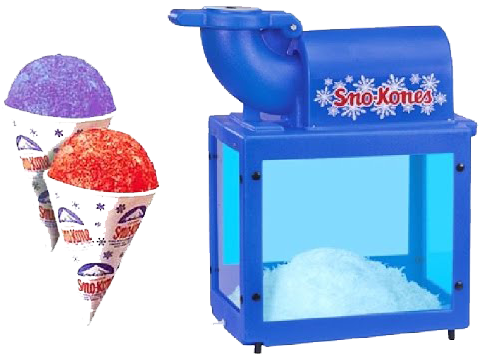 Sno-Cones are a refreshing treat that really hits the spot on a hot Summer's day! 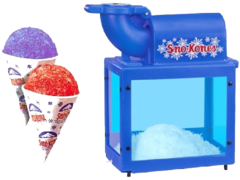 Rent our easy-to-use snow cone maker, which comes with the cones and 3-5 yummy flavors, and watch the kids line up! Great for family reunions, picnics, sporting events, birthday parties and more! Please note that you will need to supply two 10lb bags of ice for each 70 to 100 servings.